With this project the client had a very specific thing in mind. The client’s electronics use actual valve amplifiers coupled with the latest digital ‘Pro- Audio’ technology. 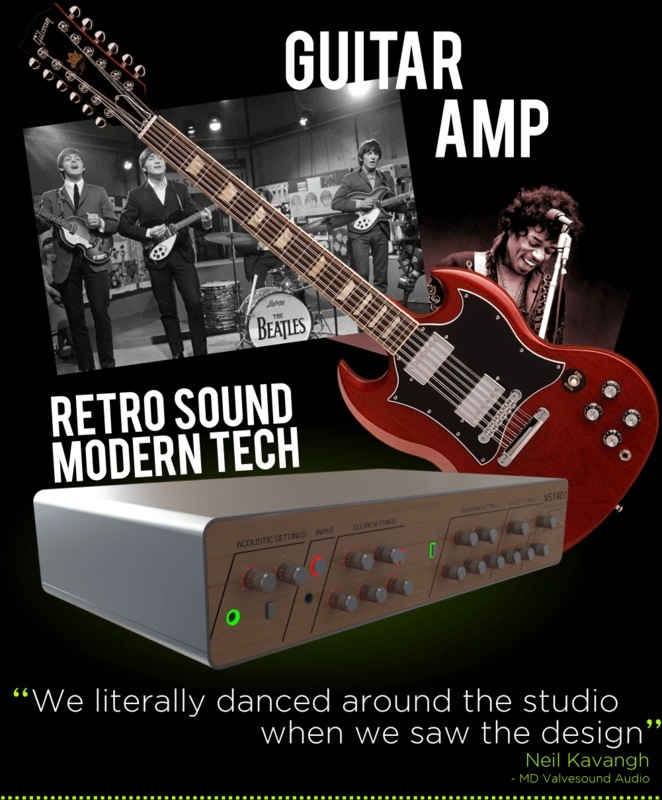 This means that it can reproduce the sounds from yesterday’s era but with a clarity and adjust-ability that no other amp can achieve. Many valve amps sound great at full blast at a big gig but you cannot have that same sound when practicing in your bedroom. 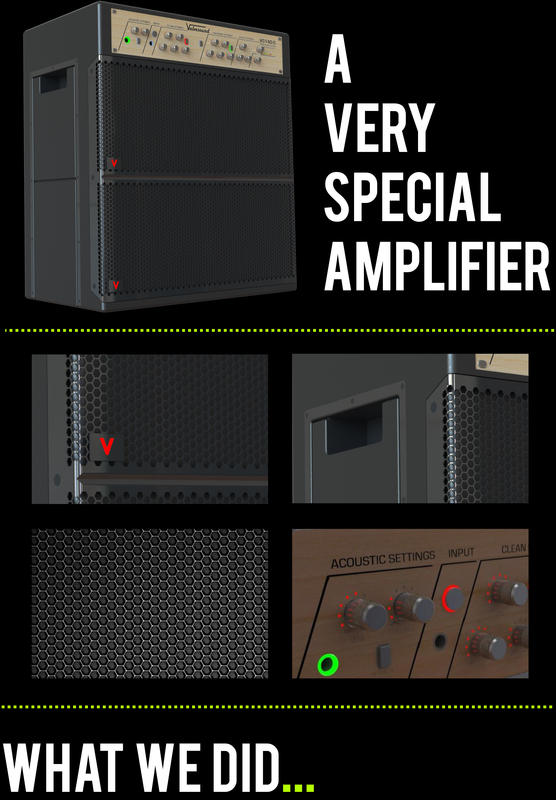 With this Amp you can. They wanted a powerful looking cabinet but with a retro looking ‘head unit’. After researching and understanding the market and making sure we really understood what the client wanted, we went through many designs ourselves until we were completely happy that we had it right. In this case, we presented 3 well defined final concepts for the client to choose from. Although good, the one shown is not actually the final thing. The real thing is even better. There really is nothing quite like this product on the market. 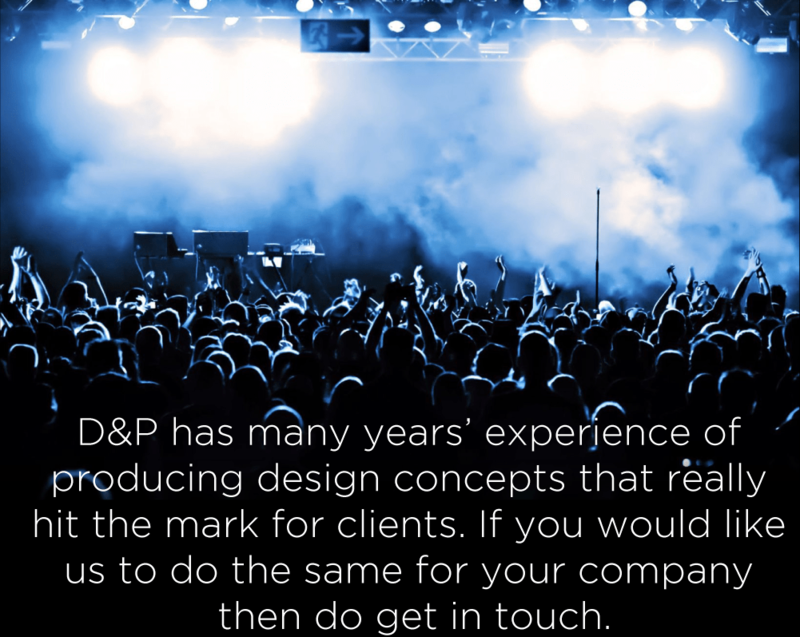 D&P has many years experience of producing design concepts that really hit the mark the clients. If you would like us to do the same for your company then do get in touch.